Are you a 2016 Bride or do you know one. 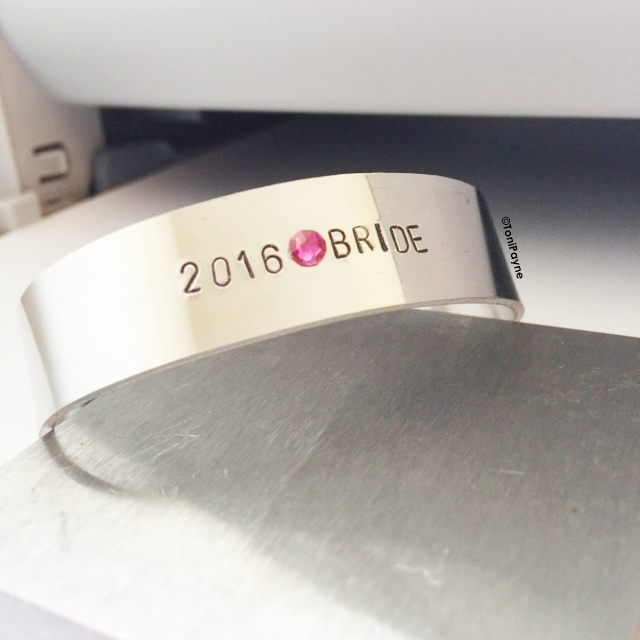 Our 2016 Bride Custom Hand Stamped Jewelry Cuff Bracelet makes the perfect bridal or engagement accessory. Hand Stamped with love and care, the 2016 Bride will enjoy wearing her bracelet everywhere she goes. A simple lightweight wear bracelet that is hand stamped with the words “2016 Bride”, this bracelet is part of our Inspire Collection. Get this bracelet to let the world know.